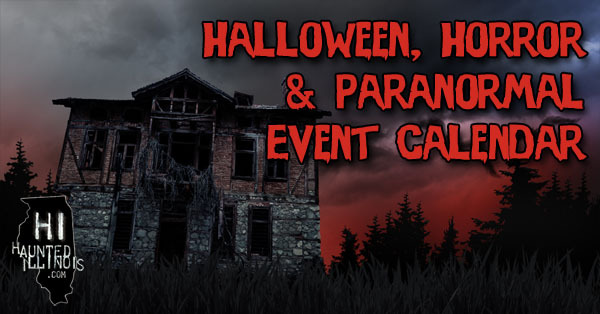 Halloween, Haunted House, Horror and Paranormal events, conventions & gatherings. Join American Hauntings for the 21st annual Dead of Winter event! Celebrate winter ghosts, hauntings, and the macabre at the mysterious Mineral Springs Hotel in Alton, Illinois -- one of the most haunted locations in the state -- and be chilled by presentations on ghosts, hauntings, spirited locations, and much more! Meet authors and speakers on strange phenomena, network with other ghost enthusiasts from all over the Midwest, sign up to win raffle prizes -- including books; unusual prizes and collectibles, tickets to the 2019 Haunted America Conference; and more! The ladies from Haunted Rockford are thrilled to invite you to this very unique program! This event will feature speakers on ghosts, insanity, murder and mayhem. Kathi Kresol will share some of the area's most Notorious Crimes and Sara Bowker will share her impressions of spirits that linger in the locations. Other speakers include Eve Harker from the Luna Datura Curious Gifts, the ladies from Bad Taste Crime Podcast (Janelle O'Malley and Vicky Walters), Film Maker John Borowski & Author and Paranormal Adventurer Chad Lewis. The Chicago Comic & Entertainment Expo � also known as C2E2 � is a convention spanning the latest and greatest from the worlds of comics, movies, television, toys, anime, manga and video games. What apocalyptic goodness will you find in the Walker Stalker Con Event Hall? We'll bring the actors you love from The Walking Dead, and so much more! From panels to vendors, themed photo areas to kid zones, you'll experience the apocalypse in a whole new way! Zombie Army Productions is back hosting its annual Chicago Zombie Prom at The Cubby Bear (1059 W. Addison, Chicago, IL 60613) on Saturday, May 5th, from 8:00 pm to 2:00 am. As Chicago's #1 Zombie Event, Zombie Prom is a ghastly, affectionate, cheesy blend of nostalgic high school Americana and the living dead. Zombie attire and makeup are required, but if you do not have your own makeup, zombie makeovers will be available for a $10 donation. This year's Chicago Zombie Prom is pleased to welcome back Libido Funk Circus as the live zombie band, guaranteed to animate your corpse on the dance floor all night! Anime Central (ACen) is Chicago�s and the Midwest's largest anime, manga and Japanese popular culture convention. The Halls of Madness Haunted Attraction's "Slaughter Farm" will be open for two nights only, with a full production show (with actors). Haunted Road Media's first ParaCon and Author event will be held on June 1, 2019, at the old Mineral Springs Hotel in Alton, Illinois. Beginning at 10:00 AM, we have a number of fantastic speakers lined up, Haunted Road Media authors, vendors, and live music with a paranormal investigation that evening. Plus, more to come! 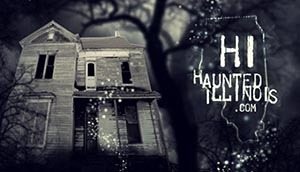 The Midwest Haunters Convention is for Haunted Attraction Producers, Actors, Artists and Home Haunters. Our goal is to provide educational seminars and workshops with experienced presenters, a 75+ vendor tradeshow with the latest in haunt offerings, and a place to network with others in the industry during our unique social activities. Haunted Illinois is excited to announce the date for our fifth Haunter Horde gathering! Mark your calendars for Saturday, July 27th, 2019! We would like to invite all haunters to join us for the day in Mount Carroll, Illinois; home of the iconic Raven's Grin Inn! We are currently working with Jim and Jessica Warfield (owners of Raven's Grin Inn) to arrange for our group to have scheduled tour times throughout the afternoon and evening! We have also reserved the Mount Carroll Bowling Center (which is just a couple of blocks away) exclusively for the Haunter Horde group! Activities, scheduled tour times, prizes, and sponsors will be announced as they become available. The legendary ROBERT ENGLUND (Freddy Krueger) will be a very special guest at Flashback Weekend Chicago Horror Con Aug. 2-4, 2019 at the Crowne Plaza Chicago O'Hare in Rosemont, IL. Robert will be joining Bruce Campbell ("ASH VS. EVIL DEAD"). We have a HUGE guest line-up planned for 2019 and special events, parties, screenings, and much more. Party the night away at the Murray Bros Caddyshack Restaurant & Bar at the Crowne Plaza. Discount hotel rooms at the Crowne Plaza Chicago O'Hare are now available for booking. Our 2019 event will feature Dark Genre Arts,and Entertainment Vendors, Special Guests, Paranormal Speakers and so much more! Wizard World produces Comic Cons and pop culture conventions across North America that celebrate graphic novels, comic books, movies, TV shows, gaming, technology, toys, and social networking. A Scary good time! The Midwest Scare Fest is a predominantly horror, but also some general pop culture, convention on Sept 14-15th 2019. There wll be an Indie short film fest on Saturday and Makeup F/X contests for both amateur and pro divisions. COME CELEBRATE OUR 20TH SEASON WITH US!! We are excited to announce our partnership with The Comedy Bar as our 2019 Festival Venue! The Comedy Bar features a great selection of in-house brewed craft beers, delicious cocktails, tasty appetizers and world famous Chicago deep dish pizza from Gino's East! ALL IN HOUSE!! This will be the tenth Chicago Ghost Conference! To be held at the Volunteer Resources Center of the Forest Preserve District of Cook County, nestled in the heart of former (haunted) Indian lands on Chicago's northwest side. Breaking Fate Entertainment is excited to announce the return of the Afterlife Paranormal Conference! We are happy to host this event at the Red Roof Inn Dekalb. The event will feature presentations by highly experienced paranormal enthusiasts, vendors and so much more! Ashbash is back for 2019! Held at the haunted Ashmore Estates, this paranormal themed event will feature vendor rooms with authors, psychics and more. Chicago Pop Culture Con is a multi-genre convention of Comics, Toys, Gaming, SCI-FI, Legos, Stars, Anime, Horror Films, TV/MOVIE MEMORABILIA, Super Heroes, Steampunk, Action Figures, Cosplay, Fantasy, Horror, Autographs, Collectibles, Sports Memorabilia, Non Sports Cards, Vintage Music Memorabilia, Publishers & Artist Convention �" but open to anything fan-related! This is the one event where attendees can access a full selection of costumes, accessories, decor, party supplies, retail solutions, and new connections for their business. The MADNESS returns with another MONSTROUS guest list, amazing dealer room and more unique programming and exhibits! Join the Party! HorrorHound Weekend is the biggest horror event to invade the Mid-west. For more than 25 years, TransWorld has produced the Halloween, Costume and Party Industries largest and most successful order-writing trade show. Year after year, TransWorld has demonstrated that it can bring together 1,000's of exhibitors and buyers and manage the complexities of producing large, successful events! Monster museum, over 200 vendors, special guests, presentations, makeup demonstrations and more! The West Coast Haunters Convention is a new convention for the Haunted Attraction Industry with seminars, workshops and a trade show. A convention not only for haunted house owners and actors, but for the all-around Halloween enthusiasts. The folks that keep it spooky 24/7 and brighten their houses, neighborhoods and communities with their love of the Halloween season. This convention has been tailor made for ALL Haunters, big and small... but, our biggest focus is on the folks that often times get overlooked by other conventions. The folks with incredible yard displays, the home haunters and the amazing low-budget haunts built with a lot of blood, sweat and tears. The Legendary Haunt Tour takes place in a different part of the USA each November and features at least 2 of the country's top haunted attractions. Know of an event that isn't in the list? Send us an email with the event name, city, date(s), website and a short description of the event, so it can be added to the list. Looking for commercial haunted house listings? Click Here to visit Haunted Illinois' Halloween Event Directory. Click here to see our list of ghost tours and other paranormal pages.